he wrote and recorded “(Sittin’ On) The Dock of the Bay” with Steve Cropper. Otis Ray Redding, Jr. (September 9, 1941 – December 10, 1967) was an American singer and songwriter, record producer, arranger and talent scout. He is considered one of the greatest singers in popular music and a major artist in soul music and rhythm and blues. His singing style has been influential among the soul artists of 1960s and helped exemplify the Stax Sound. After appearing at the 1967 Monterey Pop Festival, he wrote and recorded “(Sittin’ On) The Dock of the Bay” with Steve Cropper. “(Sittin’ On) The Dock of the Bay” was released in January 1968 and became Redding’s only single to reach number one on the Billboard Hot 100 and R&B charts after his death in a plane crash. Otis Redding’s “(Sittin’ On) The Dock of the Bay” was also a #1 single on the “Soul Hits” chart at Cash Box Magazine for one week beginning on March 2, 1968 and was replaced March 9th by Aretha Franklin’s song “Think” which remained the number one single on Cashbox’s Soul Hits chart for four continuing weeks after. Redding also was the first posthumous number-one single in US chart history. It sold approximately four million copies worldwide and received more than eight million airplays. 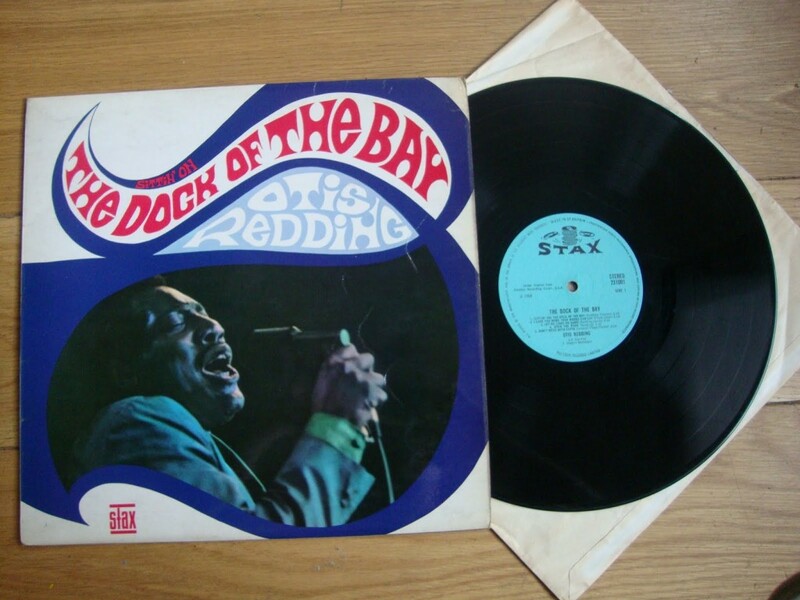 The album The Dock of the Bay was the first posthumous album to also reach the #1 top spot on the UK Albums Chart. 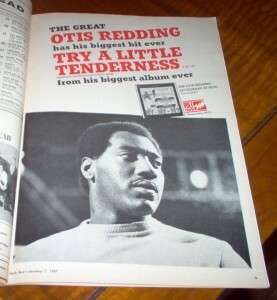 Otis Redding has been called the “King of Soul”, an honorific also given to Brown and Cooke.He remains one of the genre’s most recognized artists. His lean and powerful style exemplified the Stax Sound, and gave Stax a new identity; he was said to be its “heart and soul”, while artists such as Al Jackson, Dunn and Cropper helped to expand its structure.